For God’s sake look after our people | Shackleton. 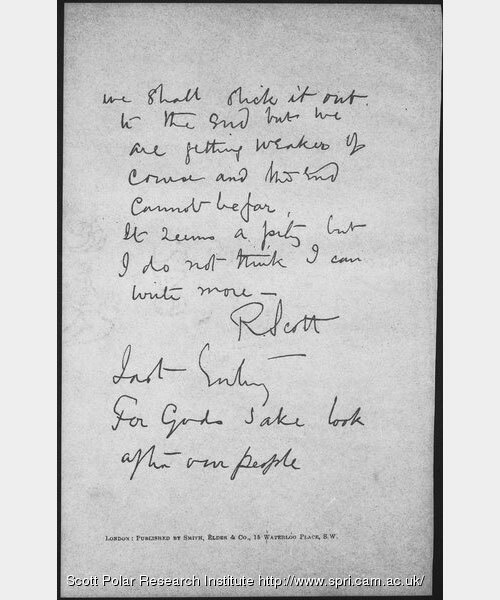 Last page of Robert Falcon Scott’s diary, 29 March 1912. Summary text: Photograph of last entry (variation made by Ponting of his original negative).